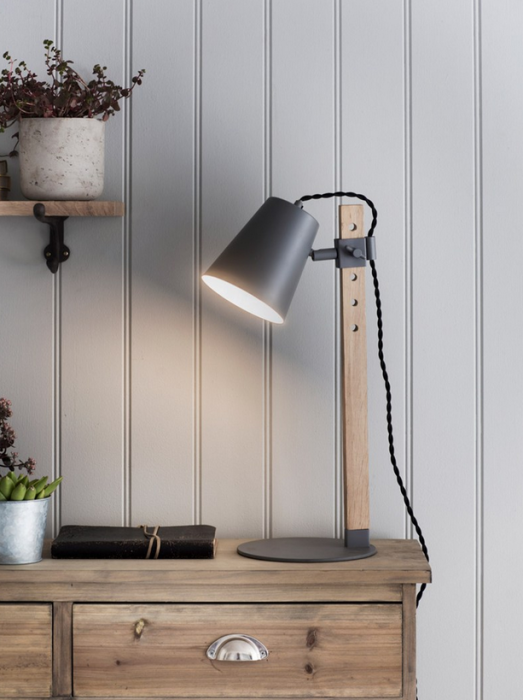 The striking Stockholm Table Lamp is an ideal addition to any room in the house. 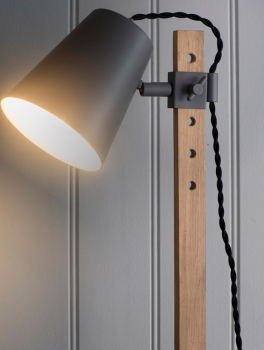 Influenced by classic Swedish design, the lovely juxtaposition of natural Wood and industrial Steel will work in a range of homes and interiors. Crafted with an Oak stem, the base and shade are finished in Charcoal Powder Coated Steel. The stem comes with 5 height options to fit in the desired position. We've designed with a black twisted cord of 2.2 metres and handy in-line switch.